Ryan's Log On The Net » Blog Archive » HOGAN WINS! NEW WWF CHAMPION! Hulkamania is STILL runnin’ wild! This past Sunday, April 21st, 2002, The Immortal Hulk Hogan, HOLLYWOOD Hogan, won the WWF Heavyweight Championship for the 6th time. It wasn’t exactly a fair match, however, I honestly believe that Hogan would have won the title regardless of fairness or not. Next update: lately, i’ve been working a lot with image editing in Adobe Photoshop, and i have uploaded my newest picture to the site. This is the only link at this time, so be sure to use it by clicking here. In other news, school is out May 15th, and I’ll be going to Colorado on May 16th for 4 days. Then I do not know what I’ll be doing, thus, there will be more updates! Check Back! 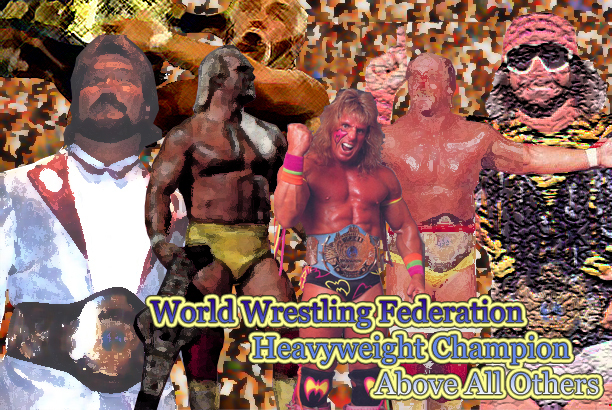 » Title: HOGAN WINS! NEW WWF CHAMPION!